Noxcrew | Minecraft Cat Competition! 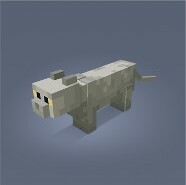 During MINECON Earth, which aired last month on September 29th, it was revealed that there are changes coming to Minecraft’s cats and ocelots very soon. In just a few months time, cats and ocelots will be separated into two different species, with cats getting a makeover! Eight new cat skins have already been designed by pixel artist Jasper Boerstra, and you now have the chance to get your own cat into the game! Minecraft are running a community competition for the ninth skin (nine new skins, nine lives… get it?! 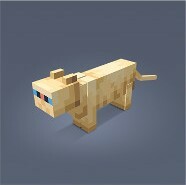 ), giving the chance for one Minecraft fan to have their own cat immortalised within the game! 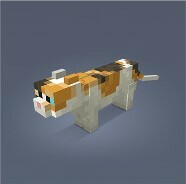 In the official announcement on minecraft.net, Tom Stone explains that all you need to do to enter the competition is to take a photo or video of your cat (or the cat you think deserves this wonderful opportunity), then share it on Twitter, Facebook or Instagram using the hashtag #Minecraftcatcontest. The community will then take to the polls to vote on which of the finalists will join the game as part of the Village & Pillage update next year. The full terms and conditions for the contest can be found here. Right now in Minecraft, you can use fish to tame ocelots and turn them into one of three variations of domestic cats: tabby, Siamese and tuxedo. When the update comes around, stray cats will spawn naturally within the world. Mojang Game Developer, Agnes, revealed during a MINECON interview that cats will bring their owners gifts (although what these gifts are remains to be seen) and scare off phantoms, which is good news for every night-time adventurer! For more about the upcoming holiday update and the Village & Pillage update coming to Minecraft next year, take a look at our MINECON Earth 2018 Highlights.